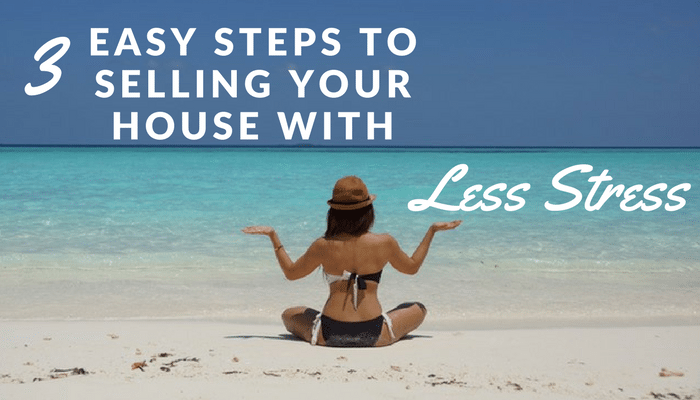 Almost no one likes the stress that goes along with listing and selling a house but it’s inevitable and there are ways to alleviate a lot of that stress by simply being prepared. When it comes to selling your home, we want our homeowners to be prepared, ready at a moments notice, and actually, enjoy the process from beginning to end. Here are our three ways to sell your home with less stress. #1. Prepare in advance as much is possible. 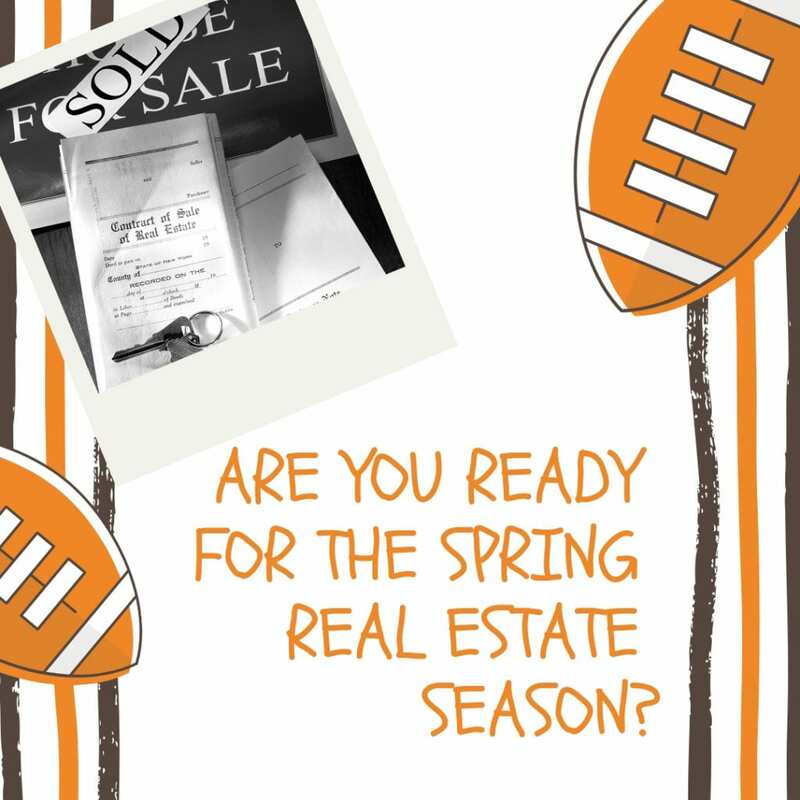 We understand that not everyone has six months to prepare to sell their house. Be who have found a house that you want to buy and so you make an offer and then scramble to sell your house or maybe you have a job change or family status change and you need to sell fast. Stress in these situations is almost unavoidable but the other two points may help in these situations. For those that do have time, it’s important to take the time to prepare in advance as much is possible. This means take at least a month and get advice from friends and family about what your home might need. Fresh eyes on a house can point out items that you’ve become blind to over the years. Maybe there’s extra dirt in window and door tracks, leaky faucets or squeaky doors and windows. All of these things need to be fixed, repaired or replaced and if you give yourself enough time, it won’t be stressful. Even if you are on a budget, you can plan things out each month to repair or replace so that when the time comes to list you are well set and ready. #2. Be ready for showings and 30 minutes or less. Once you list your property you want to make sure that the home is show ready in 30 minutes or less. Simple ways to do this include not making a mass that will take more than 30 minutes to clean up. Cleaning up after every activity and not letting papers, toys, or clutter stack up on counters, tables, chairs and shelves. Each room should be assigned to a member of the family. When you get the call that you have a showing, that family member is assigned to that room to pick up, straighten up and clean up in 30 minutes or less. Sometimes you don’t even have 30 minutes but if you can plan ahead, you can make sure that no mass takes longer than 30 minutes to clean up from start to finish. #3. Pack up half of the items in drawers, cupboards, cabinets and any other storage area. You planning on packing up and moving anyway so take the time now to clear out closets, drawers, pantries, and cupboards of at least half the items, particularly ones you’re not using right away, and pack them up for moving. It’s important to put these items in storage or off-site so it doesn’t add to the clutter in garages or unused rooms. Buyers will see a clean, open space with plenty of room and it will make your job easier when it comes to packing and moving the rest of the items. Plus, it gives you a sense of calm and peacefulness to not have as much clutter around. Taking these three steps into account when listing and selling your property can really take the stress out of the whole situation. We have other secrets and tips that we save just for our own homeowners so if you’re planning on selling a property anywhere in the Brunswick County area along the coast of North and South Carolina and specifically in Sunset Beach and beyond, call us today for the secrets and tips. You want the very best real estate agent that you can find, right? Surprisingly, many buyers and sellers simply go with the agents that they use the last time, a friend’s cousin or brother, or maybe just some random person they found online. The problem with this is that it may not be the best agent for your needs. When seeking out a professional you want the very best. This is a lot of money that were talking about so having just an amateur agent, a newbie or someone that is not familiar with the area as your real estate agent could mean loss of money or money left on the table, mistakes in the purchase and sale agreement and frustration throughout the process. 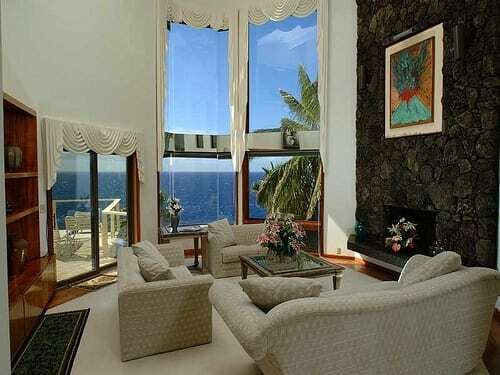 As Sunset Beach real estate agents and Realtors®, which is a unique certification for real estate agents emphasizing ethical codes of conduct, we understand the buyer’s side and the seller side and because we have done this for decades, can help you purchase or sell the property quickly, efficiently and effectively. When looking for a qualified agent to sell your property understand that if you look hard enough you will find an agent that will price your property however you wanted to be priced. This is something to be very wary of. 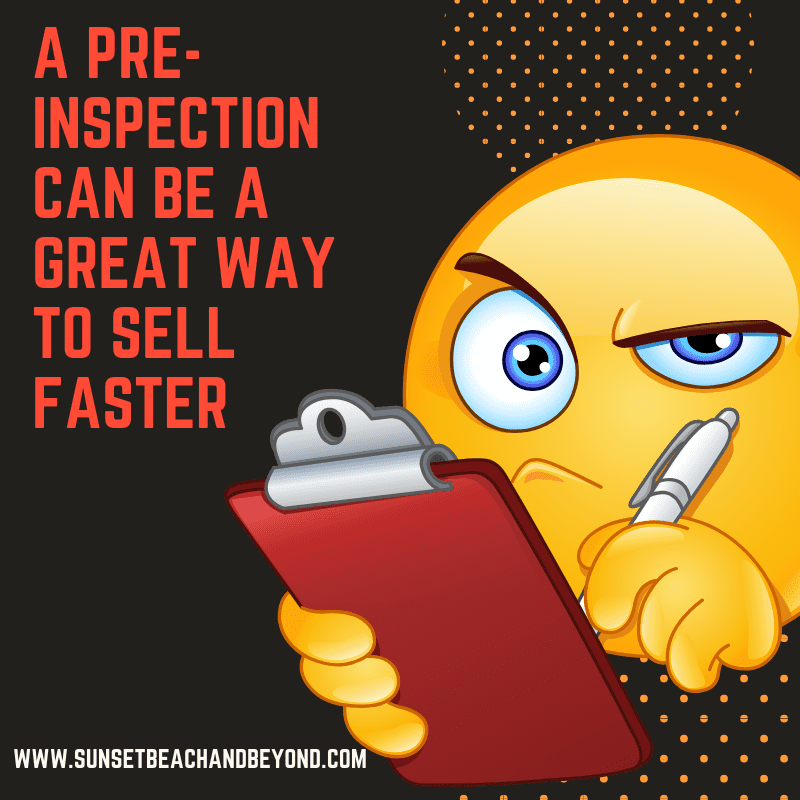 Any agent that suggests an unreasonably high sales price or goes with your suggested price right off the bat without doing the research, only wants to try to get your business, not actually sell your home, and there is a big difference. There are agents that will list a home at a high price only to seek a lower price later but unfortunately, at this time, it we’ve missed the most critical time to sell the property and may have lost out on a potential buyer. A good real estate agent, no, the best real estate agent, will be upfront, honest and forthright about the price point in which to list your home. An agent simply looking for work will agree with anything the homeowner says. Secondly, make sure you check the education and productivity of the agent. You’ll want to ask how many homes they have actually sold in a given year. This is different than listing the home. An agent may have listed 10 homes but really only sold three of them. This means that either the listings expired, they were fired by the homeowner or the homeowner went a different direction. If that agent listed 10 homes and sold all 10, there’s obviously something they’re doing right. Ask about the experience in the area in which your home is listed or in the area in which you’d like to buy. The agent needs to know the area including the micro neighborhoods, unique details about a particular area or community and anything that buyers would want to know before moving into an area. 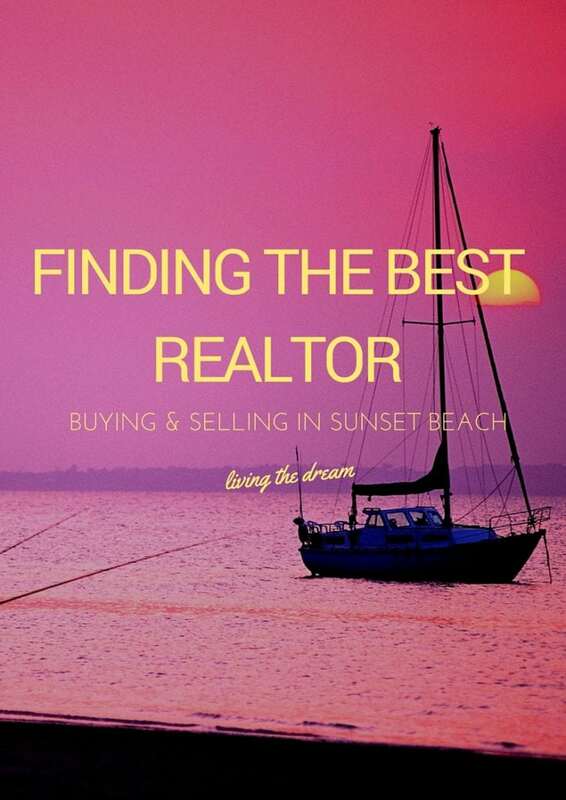 This is especially true in the Sunset Beach area for buyers looking to purchase a home on the beach. Because we live here, work here and play here, our experience of oceanfront property is second to none. Ask how the agent will advertise your property. Because we have our own real estate website as well as subscriptions to hundreds of different real estate websites across the nation, your property will not only be featured on our website but dozens of others as well. We stay up to date with the latest marketing techniques, online technology, social media marketing and other in print and in person advertising strategies. Finally, you need to make sure that you feel comfortable and that you trust your agent. You want straightforward, reliable information and you want to be communicated with on a regular basis. Agents that simply list a property and then walk away hoping that a buyers agent will come along and sell the property, is really doing nobody any good including themselves. 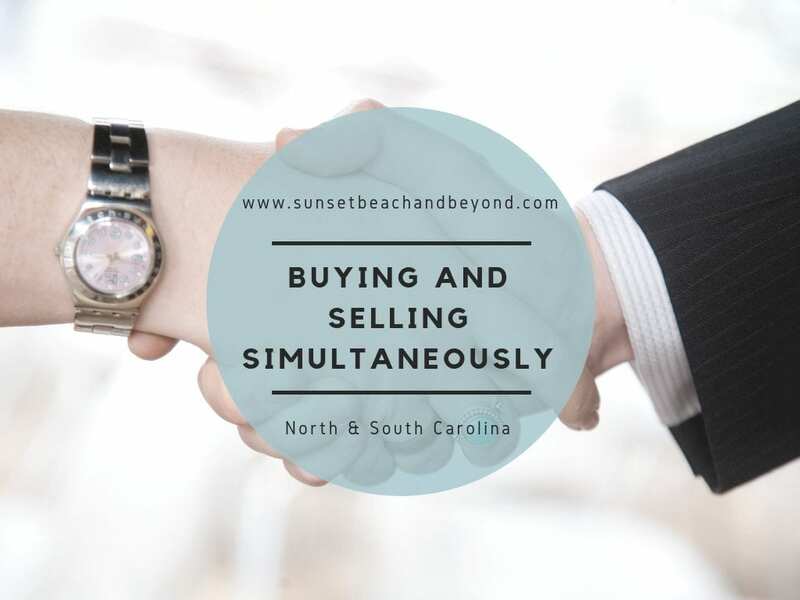 If you’re looking for the best agent for your Brunswick Islands home or anywhere up and down the North and South Carolina coastline contact our office today.